In a goof so relatable that I want to cringe until my body turns inside out and becomes a 19th century anatomist’s dummy, Great British Bake Off judge Prue Leith accidentally revealed this season’s winner ahead of time. 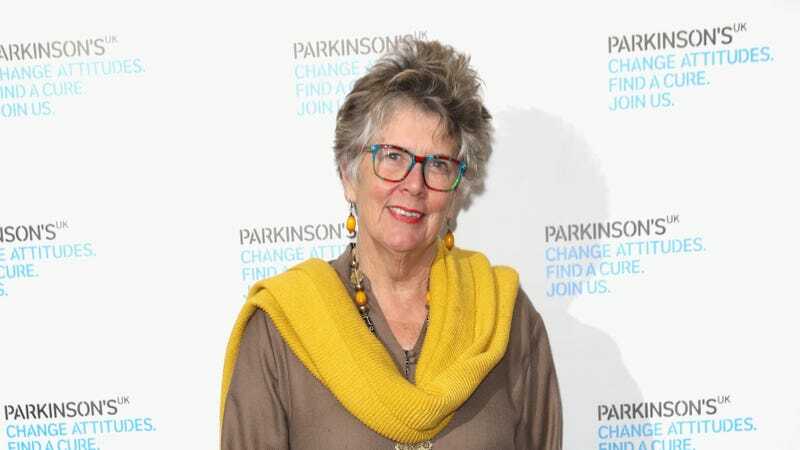 The Great British Bake Off judge Prue Leith was forced to hastily delete a tweet on Tuesday, after she named the winner of this year’s show before the final episode had been broadcast. Apparently it was a timezone mistake, something that, as somebody who does a lot of phone interviews and also has a brain like a colander, I find painfully easy to imagine myself doing. “I’m in Bhutan,” she told the Press Association. “The time difference is massive. I thought that they got it six hours ago. I’m in too much of a state to talk about it. I fucked up.” This is truly a terrifying campfire story for Halloween. You know who would make her feel better about this, though? Mel and Sue.